30th January 2018 – 70th year of martyrdom of Mahatma Gandhi! It was on 30th January 1948, that Nathuram Godse, the RSS fanatic, shot Mahatmaji while the latter was going to the prayer ground. 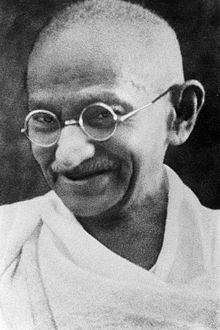 The martyrdom has completed 70 long years, but still the Indians remember Gandhiji, the Father of the Nation, and the great leadership he has given in the struggle for independence. Our Respectful Homage to the memory of the Father of the Nation, Mahatma Gandhi!